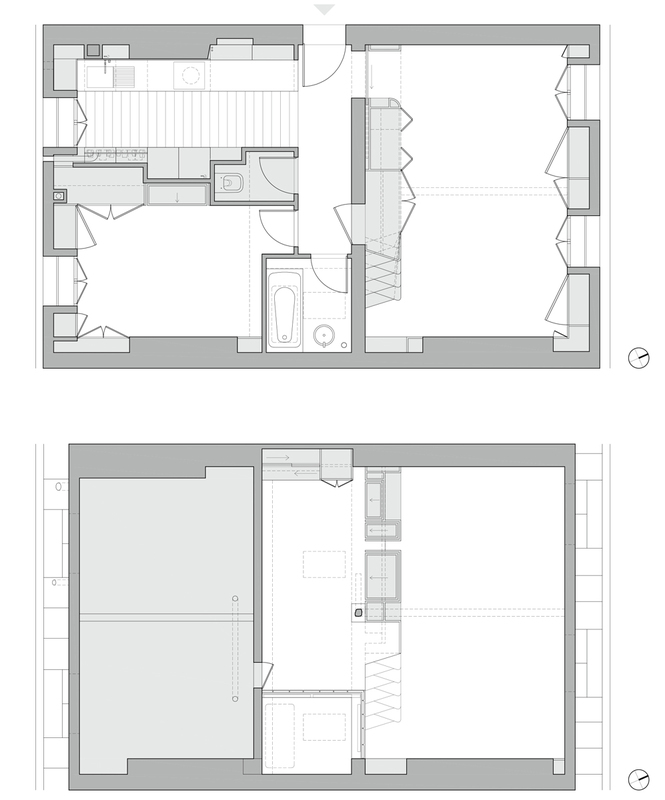 This newly renovated 72 sqm (775 sq. 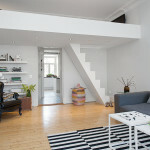 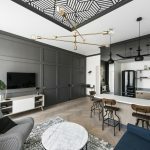 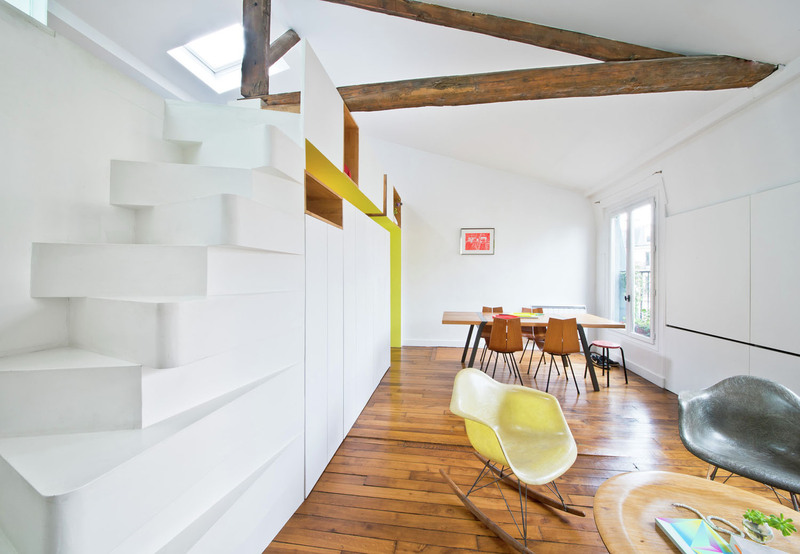 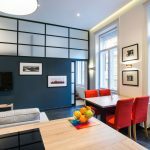 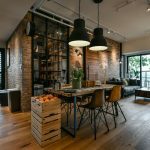 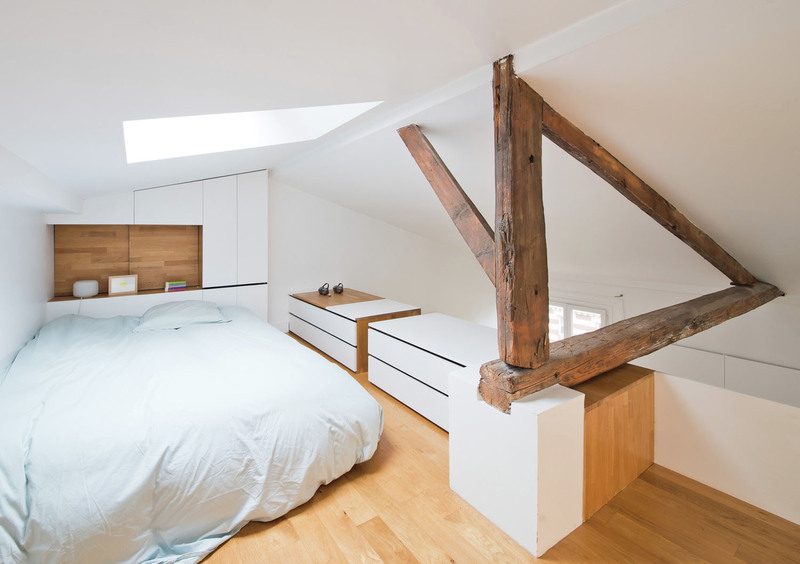 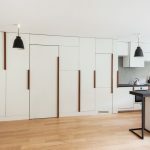 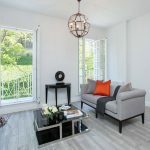 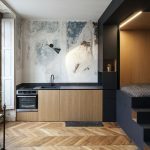 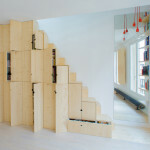 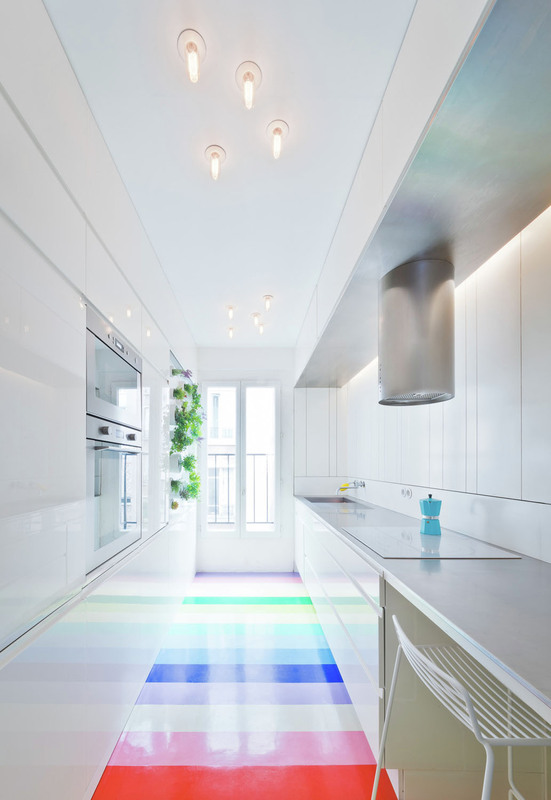 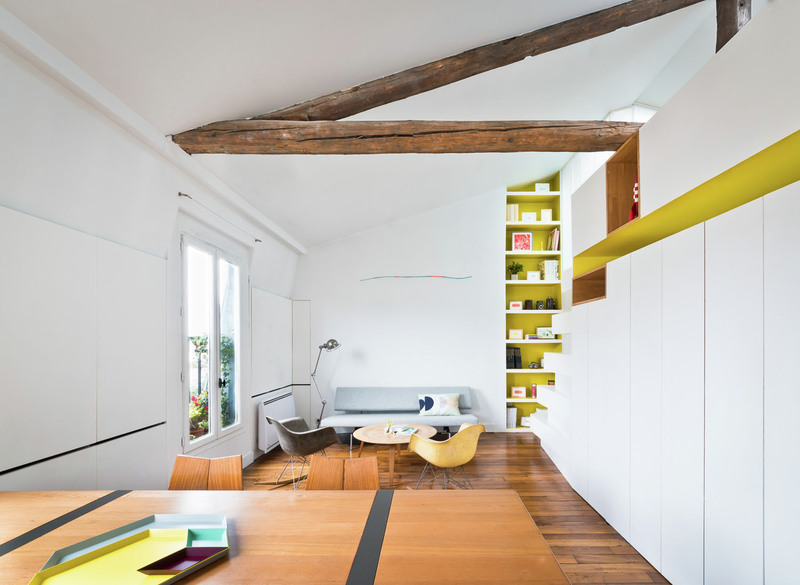 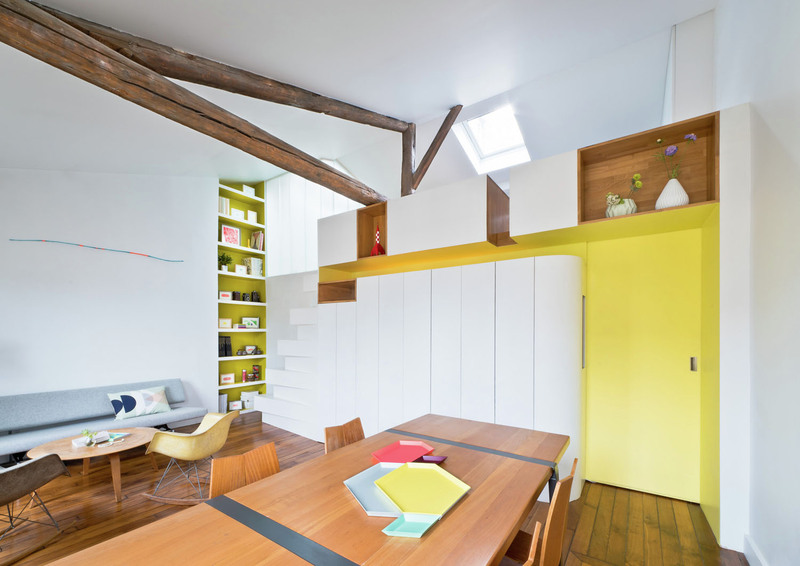 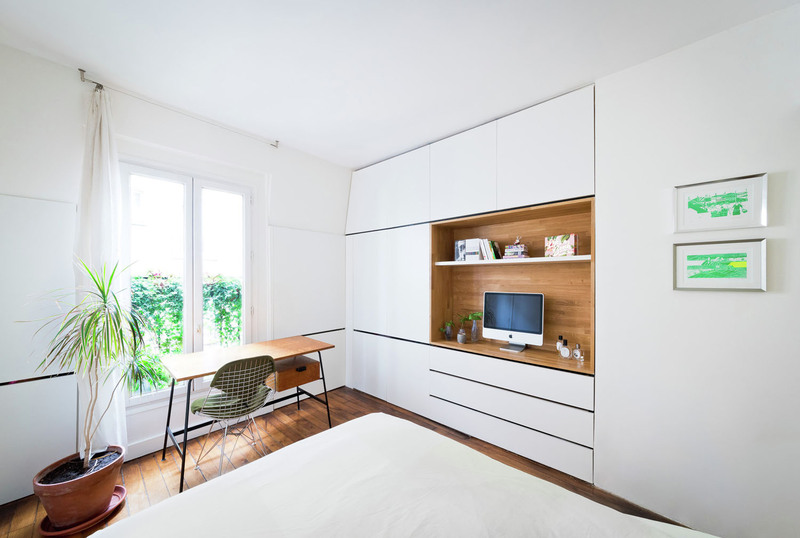 ft.) apartment in Montmartre, Paris, France by SABO Project has an additional loft bedroom and a multi function thick wall acting as staircase. 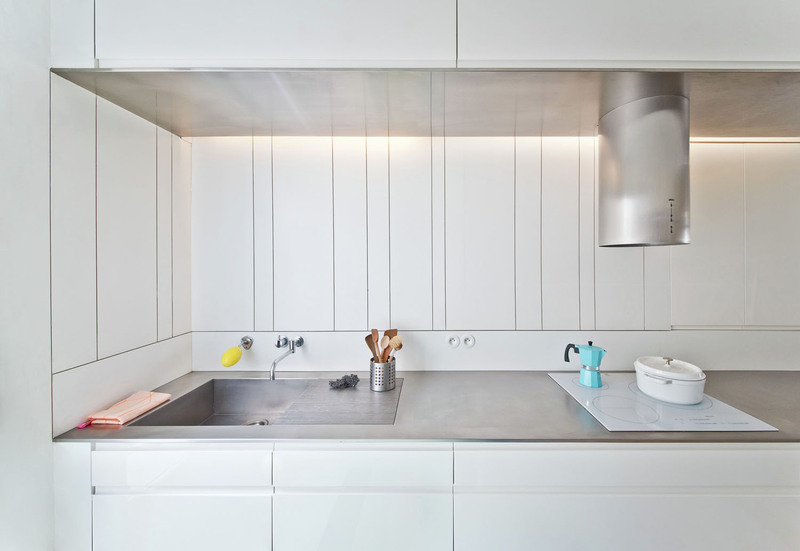 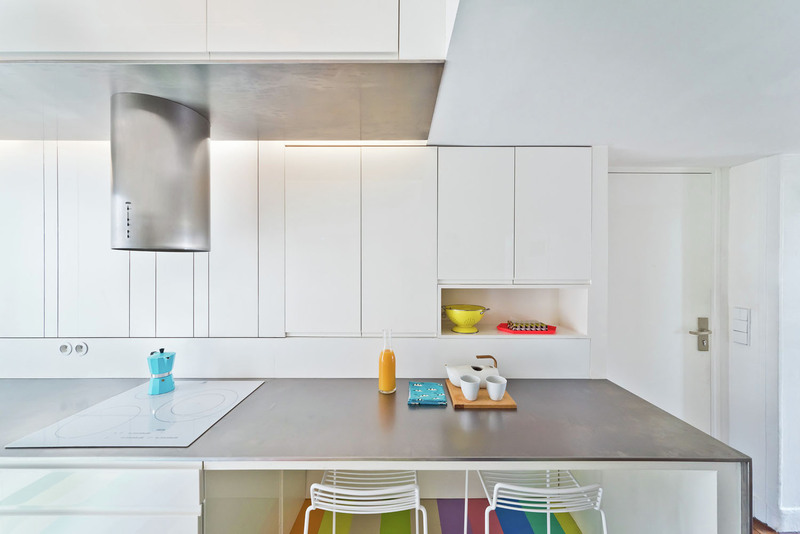 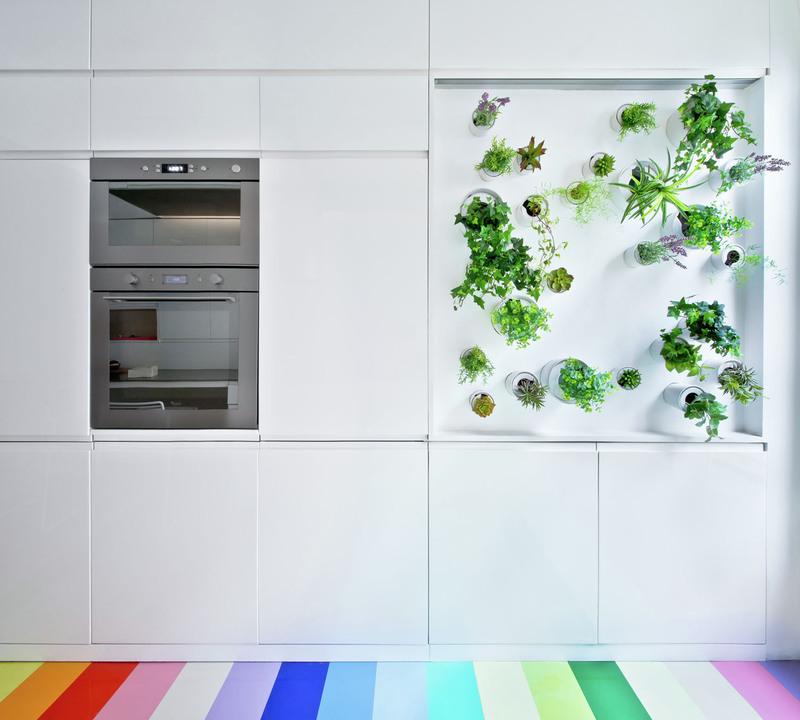 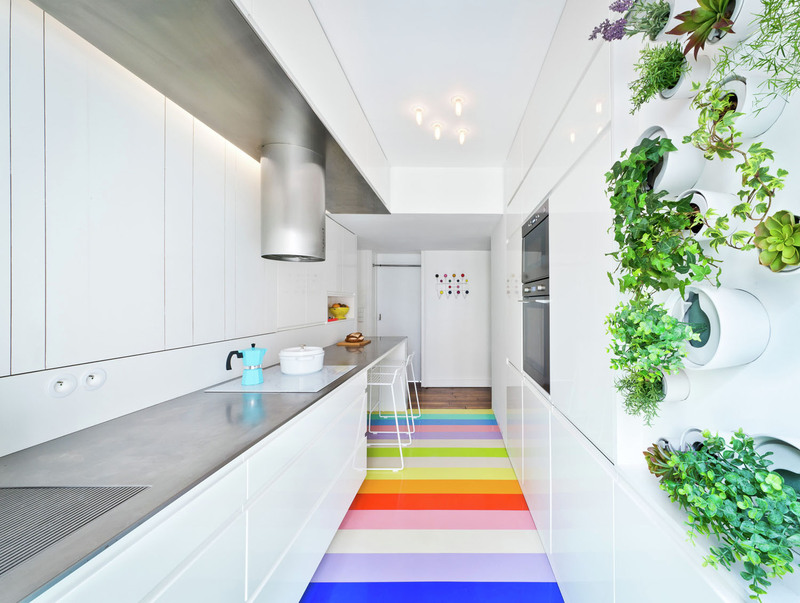 In the kitchen, a steel countertop with custom integrated drainer is welded in place to stretch over 15 foot and a mini vertical garden provides fresh aromatic herbs.